While working at my Reiki practice, I was privileged to witness many, many past life regression sessions. I have been fortunate to have attended a seminar with Brian Weiss, the master of past life regression, and participated myself in a regression with him. I believe in past lives…..the subject cannot be covered in this short blog. I believe that we do choose our paths in this life and in the life beyond……that we travel in soul circles with energy that has surrounded us for century upon century. It lies inside us, maybe peeks through with familiar deja vu moments, with inclinations toward certain civilizations, longings for certain foods or climates…….we have all experienced those moments….. I have witnessed people haunted by occurrences in this life, driven to addiction because of them, and regressed to learn that similar occurrences happened in previous lifetimes….. The emotions are so exposed, either each regressed person has been of Academy Award caliber, or there is more to this than simply “wishful thinking”…………. Whether you are a believer or not……..the stories are fascinating and much too coincidental to be dismissed easily……..
Past Life is not a “New Age” Fad………the belief of reincarnation has been around for countless milennia. I believe our beloved pets can return as well…… a new pet that seems to know some personal information ( the place you hide the dog biscuits)……or some quirky trait……the way he shakes his head……Yes, a keen sense of smell can dig out the hiding place of treats; but does coincidence explain the same behavior traits that made us love another who came before. I have experienced similar occurrences with the many animal rescues I have brought into my home……. And I have witnessed what seems to be a repetitive pattern in lives……..lessons unlearned that must be relived the next time around if not conquered in the present life. 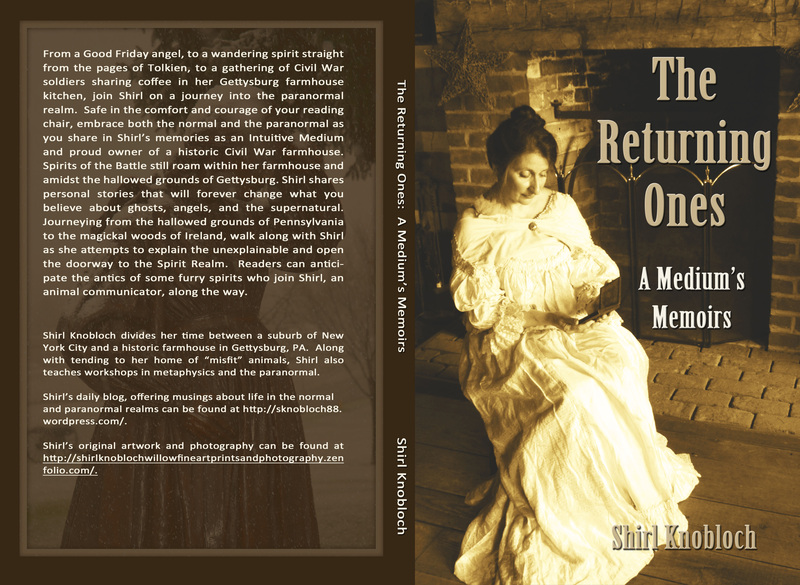 There is actually a published book detailing the regression of a group of Civil War reenactors……Now, I know you will say, of course they regressed back to the War. This is true, but the vivid details and the author’s journey to link these people to actual cemeteries and battlefields is truly extraordinary. To me, regression is a most fascinating subject..